An unspecified distance away from. Just plug the address into your phone and follow the directions. Which would have been great advice if I had a smartphone, but I was the girl with a dumbphone and, like all dumbphones, my phone didn’t do this map thing, so I had gone old school. I had used one of the computers at the hotel—in their pompously named business center, which in reality was a room with two old PCs, a fax machine that was switched on but covered with a layer of dust, and a laserjet printer that was about the size of a large suitcase. I had opened up the cranky old browser on one of the computers and checked the online map before printing it out. The color map had rendered as somewhat unclear grayscale when the asthmatic printer spat out the page. I’d also printed out the page with Ryan’s email message—his office address at the bottom. For the record, “near” meant on the other side of the bypass or whatever they called it—the elevated roadway that threw into shadow the line between the old port and the city. The office street was, apparently, on the other side of the bypass, away from the old port, running parallel to the bypass. After five minutes walking up and down the street and concluding that the only color to be seen in Genoa was orange, I found the office. Near to the old port. Near if you’re a crow—or a seagull—and can fly. Near if you know where you’re going. But less so if this morning was only your second morning in Genoa, and most of your time so far had been spent in, and looking at, the Cattedrale di San Lorenzo. The cathedral that was, with a certain irony, pretty darned close to where I had ended up. “Hi, I’m here for Ryan Harris,” I said to the receptionist. Carlotta Lombardi, according to the nameplate in front of her. I guessed she was around the same age as me—maybe a bit more, maybe a bit less, but definitely twenty-something. And definitely of Italian extraction. She had the lightest dusting of olive in her complexion, and the tumbling curls and flowing curves were something painters had tried to capture for centuries. The building was old, but inside seemed modern. The reception area had a high desk for Miss Lombardi, but everything else was low slung. The glass walls allowed a vision of a wide, open-plan office, but with the old building features retained, giving an idea of age but also breaking up the space to offer everyone his or her own area. The goddess in training, or future artist’s muse—I couldn’t make up my mind which; all I could be certain of was that she wouldn’t be answering phones and dealing with walk-ins from the street for long—replied. My Italian was limited. My accent was bad, so she immediately realized that my first language was American English. Her English wasn’t perfect, but her English was much better than my Italian. The goddess leaned forward to read the email, giving me a view of the top of her head and her perfectly sculpted cleavage. Her head moved from right to left, following each line of my email exchange with Ryan. Like a typewriter, at the end of each line her head moved to the start of the next, her curls shimmering under the artificial light as her head moved. “Are you sure?” she asked. Then, realizing she was contradicting me, she panicked slightly. “I’m sorry. I don’t know the right words in English…what I mean is…I know it arrived yesterday, but did he send it before? Did it get lost…delayed…in the internet?” She shrugged—whether at her perceived lack of English vocabulary or her lack of capability to explain technology issues, I wasn’t sure. That was it. She was out of ideas. She was back to her role as trainee goddess tending the phones and greeting visitors. She spent a moment or two focusing on the scrap of paper. Without taking her eyes off the page, her right hand went out, feeling across the desk, returning when she had found a pen. “We are here,” she said, putting a red circle. “The trattoria is here.” She put another red circle. 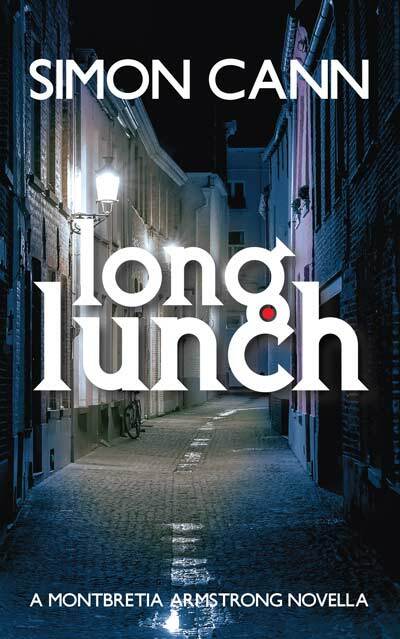 Return to Long Lunch page.